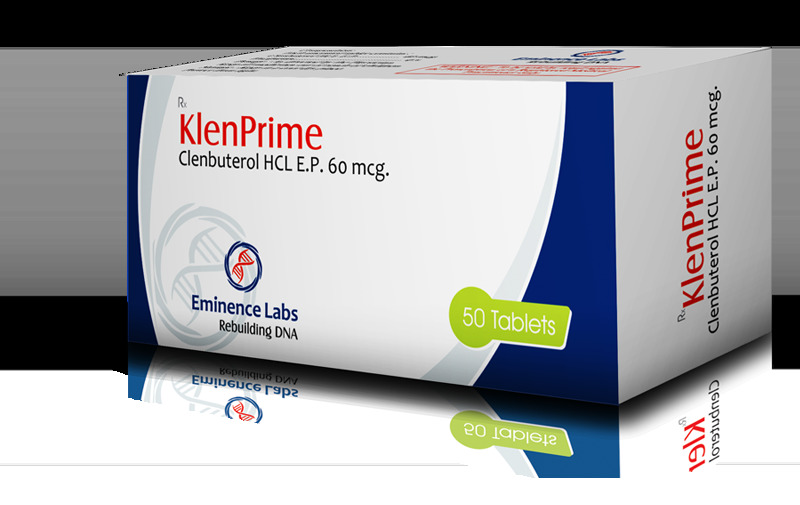 Klenprime 60 mg Eminence Labs is a beta2-adrenomimetic (stimulates beta2-adrenoreceptors) and is used in many countries as a remedy for bronchial asthma and other lung diseases. Due to its long half-life, clenbuterol has not been approved by the FDA for medical use. Being a stimulator of the central nervous system, it acts like adrenaline, also having many similarities with such CNS stimulants as effedrin. Despite popular opinion, clenbuterol has a half-life of 35 hours, not 48 hours. When clenbuterol acts on the beta-2 adrenoreceptors of the presynaptic membrane, the release of norepinephrine and adrenaline increases, which have a powerful fat-burning effect. Klenprime 60 increases the basal metabolic rate by 20-30% from the initial level. Klenprime 60 suppresses the activity of lipoprotein lipase, as a result of which fat deposition in adipose tissue becomes impossible. Acting on beta-2-adrenoreceptors of the central nervous system, this drug enhances the secretion of thyroid hormones  – the body’s natural fat burners. Nausea, vomiting, dry mouth, palpitations, dizziness, insomnia, sweating, and many others. But the most frequent and most common effects are: muscle cramps, anxiety, headache, and high blood pressure. Some side effects can be avoided, for example: in order to avoid muscle cramps, you need to drink 5-8 liters of water a day and eat bananas, oranges. Potassium also helps, 200-400 grams a day before bedtime on an empty stomach. Headaches can be prevented by taking analgesics, such as acetaminophen at the first symptoms. Some require taking the dose increased by 2 times.